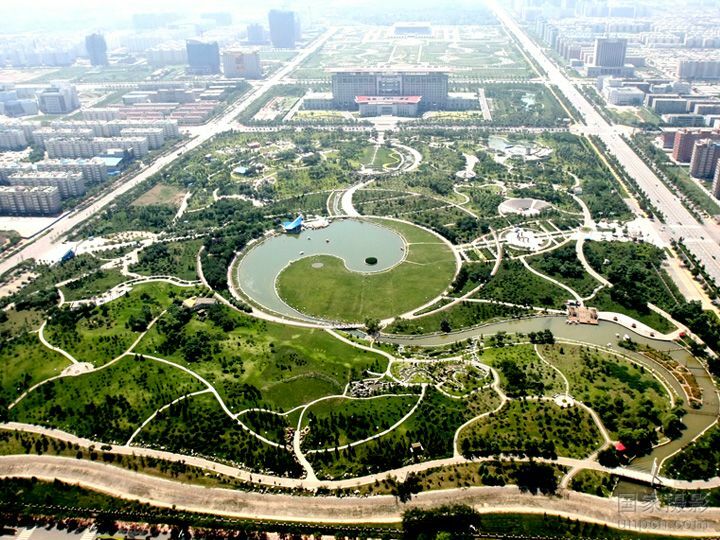 Let's look at the "Yi Garden" park in the center of Anyang city, Henan province. In the middle of the park is the Yin-Yang taiji, where the Yin part is a lake and the Yang part is made f grass. 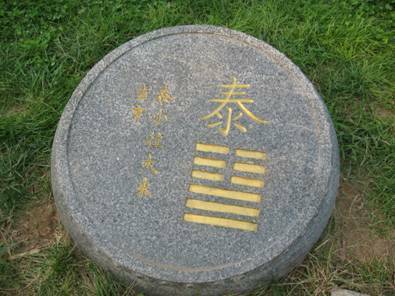 Around the taiji there are stones with the 64 hexagrams of Yi Jing ("The Book of Changes"). 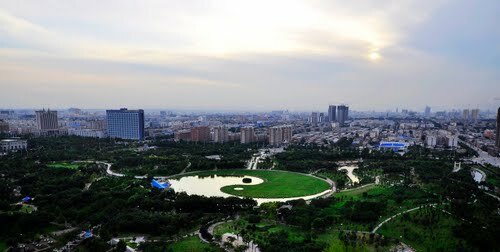 Anyang is known as the birthplace of Yi Jing. There are many people who do Yi Jing divination in the city. Every year in Anyang is organized a big Yi Jing congress with participants from all over China. It's interesting to note that one of the main streets is 紫薇路 - "Ziwei" (suggesting the Purple star in ancient Chinese astronomy and Ziwei astrology), and another big street is named "Heavenly Noble" 天贵路, which has a specific meaning in Chinese metaphysics. 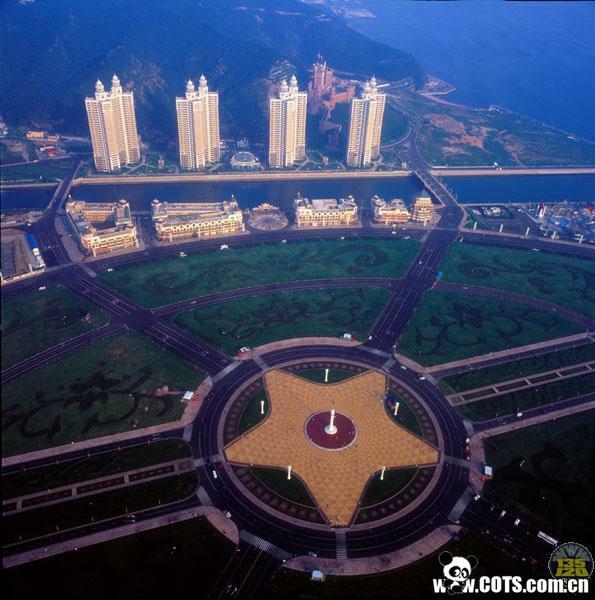 This is the "Sea of Stars" square in the center of Dalian city, Northeast China. 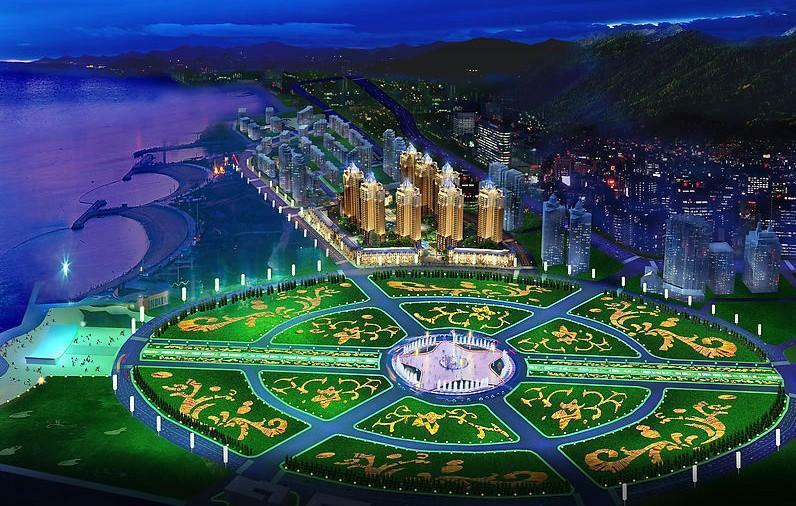 Built in 1997, it is the biggest square in Asia. Look at it: the people are so small, like ants, in comparison with this big circle. In the center of the circle there is a red stone carving of the 28 su lunar constellations, the 10 heavenly stems and the 12 branches. In the morning thousands of people go there to practice qigong and tai chi. And in the evening, when it's dark, thousands of lights make it look like a luminous star. And if you walk there, you have a feeling you are part of this universe, as if you are also a star.